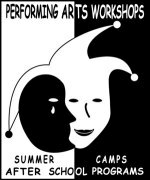 351 Summer Camps in for "La Crescenta, CA"
Get a head-start on building impressive academic resumes! The leader in comedy and improvisation offers improvisation, sketch comedy writing and musical improvisation. Because every child deserves a summer at camp! Voted 2010’s BEST Summer Camp in LA Parent Magazine.